In our ever more transparent and tough economic environment don't you would think Verizon, AT&T, T-Mobile and Sprint should take a look at new innovative ways to better service its customers needs as more customers are using thier mobile phone indoors. Our mashup DeadCellZones.com collects thousands of carrier indoor and outdoor cell coverage complaints from customers each month zero advertising. If our web site is collecting this data for free it appears the carriers are all overlooking a very simple way of listening to their customers. Ask! Wireless service providers (especially in the U.S.) do drive testing to build theoretical coverage maps and test their networks for signal strength. Drive Testing or wireless data collection is used to provide coverage analysis, network weakness information and to aid in finding specific problem areas reported by consumers. Most drive testing companies are specifically tasked with simulating the actual call experience of customers during weekday periods to simulate capacity issues outdoors. Such companies include GWS, LCC and WFI. Most carriers outsource this capability to a third parties unlike Verizon who has their own in-house drive testing team. Drive testing companies usually spend between $15-25 per mile in over 300+ U.S. markets benchmark testing signals. These companies provide a tremendous service to the carriers and deserve every penny for their efforts but how do they efficiently acquire in-building coverage data where customers use their phone the most? DeadCellZones.com will be a the forefront of the carrier femtocell revolution and will start helping drive testing companies get better visibility of in-building coverage problem areas. U.S. carriers are starting to roll out femtocells and the number of worldwide subscribers is rising rapidly, jumping from 1.7 million in 2007 to 9.7 million in 2008. 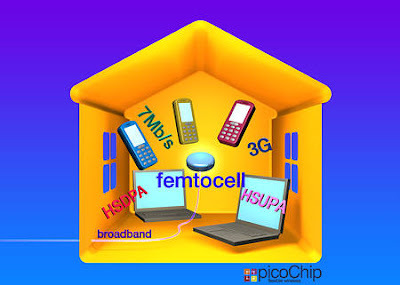 The number of femtocell phone units is expected to nearly quintuple in the 5 years from 2007 to 2011. I think the current recession is going to demand cost cutting measures that we have never seen from these companies since churn is more prevalent than customer growth. The carnage could be huge from suppliers and vendors beneath the umbrella of these giant companies of those who do not innovate. Its widely known throughout the industry that working with carriers is not much different that working with government bureaucrats because of their proprietary networks and huge customer bases. The lack of leadership of the wireless communication giants to is the primarily reason why the U.S. is way behind Europe and Asia in the wireless telecommunications. Do you have feel like their needs to be a cell phone waiting line at stadiums or in crowded public places? How many times have you been unable to make outgoing mobile phone call in heavy traffic, in a crowded stadium or in a remote area with very little network capacity? If you have experienced this before like me you have probably wondering why you might have full bars of coverage and cannot make a call. Well, its because there are too many people are already connected to the cell tower that is closest to you. Full coverage bars is not actually a good thing and often means there are too many people on the network around you and you might not be able to make an outgoing call. Today's cell phone congestion at Barack Obama's inauguration speech reminded of a common problem cell phone users experience every day in rush hour traffic. 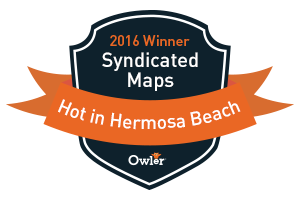 One solution is to submit your coverage complaint on the DeadCellZones.com map and add a note about the network being busy or congested. The network operators will see this on our maps and hopefully take action to add additional capacity if enough people complain. Here is another solution to the congestion problem provided by Wilson Electronics that will give you priority on the network when trying to make calls. Its the iPhone & Blackberry Booster that will amplify your signal as well as charge your battery at the same time. Cellphone carriers aren’t shy about pointing people to the coverage maps on their Web sites that are supposed to show where they can expect to get good signals. (WHAT KIND OF PERSON OTHER THAN AN INDUSTRY INSIDER WOULD TAKE TIME TO SHARE GOOD SIGNALS?) Those maps suggest you can get a great signal just about anywhere, unless you live in remote areas. And they’re right: you can get a great signal just about anywhere (THAT IS NEAR A CELL TOWER THAT IS NOT BLOCKED BY TREES, BUILDINGS OR HILLS) — if the weather is perfect, the phone is new and you are the only person in your area making a call at that particular moment. For a more sober assessment of a carrier’s strong and weak spots, consumers need the opinions of family, colleagues, friends, enemies and strangers. Finding those opinions is a problem that is tailor-made for an Internet solution. The site works much better if you select a single carrier — and if you happen to live in an area well populated with cellphone users who like to share their opinions. In certain areas of the Upper West Side of Manhattan, for instance, you can find small clusters of complaints about poor signals from AT&T customers, as well as smaller pockets where the coverage appears better. Sprint customers will find less help, probably because it has fewer subscribers than AT&T to begin with. That pattern holds on other sites as well. Of the 15,000 reviews posted to DeadCellZones.com last year, about 30 percent were for AT&T, while about 25 percent were for Verizon. No matter the carrier, though, you will have a harder time finding good guidance from these sites if you are in the suburbs, where clusters of customer reviews are rare. On DeadCellZones, which has logged by far the most consumer opinions, just eight people reported dead spots in signal coverage in Stamford, Conn., and the reports showed no pattern that could be relied on when choosing a carrier. Still, even in areas with few reviews, the quality of the reviews can sometimes make up for the quantity. One reviewer in Fair Lawn, N.J., for instance, reported a dead spot on River Road, and said the problem extended to other carriers as well. As with some other sites in this category, GotReception asks users to list their phone models. Sometimes this can help, as when a user complains about the poor coverage on a circa-2000 flip phone. Other times, it only clouds the matter. Should a report of great coverage be given more credibility because the phone was a new BlackBerry? Did that particular iPhone user have a hand covering the phone’s antenna? Adam Korbl, GotReception’s chief executive, said his site would become more useful as more amateur reviewers post their experiences, but in the meantime, they can fish for other opinions elsewhere. As with the competition, DeadCellZones works best in more densely populated areas like Manhattan, where patterns are more easily found. Columbia students, for instance, widely complained to DeadCellZones about T-Mobile’s coverage on campus. T-Mobile’s coverage map shows full signal strength throughout the Upper West Side, including Columbia. DeadCellZones, meanwhile, showed several dead zones in Lower Manhattan for AT&T, while the coverage map on the AT&T Web site suggested the area was blanketed by what the site regarded as the network’s “best” coverage. CellReception is an offshoot of Mobiledia.com (ANOTHER COPYCAT WEB SITE), a widely read mobile-industry blog. The site’s president, Allen Tsai, said it held more than 45,000 comments, mostly written by Mobiledia readers. In the meantime, if you happen to visit one of these sites, do everyone a favor and post a review. One of the sites (DEADCELLZONES.COM IS THE CREATOR AND THE STANDARD) could eventually grow to the point that it holds a trove of data on every town, in that way greatly diminishing the chance that you will choose your next wireless carrier unwisely. Wilson Electronics, the leading provider of quality amplifiers and antennas for cellular phones and data cards, today announced the launch of the iBooster™ plug and play cellular booster kit for 2G and 3G iPhones™. The amplifier line will also include a device designed specifically for the BlackBerry™ Curve. The iBooster and its external vehicular antenna increase the phone’s output power to the cell site and improves the phone’s ability to hear signals in weak signal areas. The iBooster helps users stay connected by reducing dropped calls, increasing data rates and allowing the completion of calls from those dreaded “dead spots”. The iBooster is designed for simple set up and can be easily moved from vehicle to vehicle. At the heart of the iBooster is Wilson’s bi-directional Smart Technology® signal amplifier with battery charging circuitry, designed around a convenient, phone specific ‘slip in’ cradle. A magnetic vehicular antenna is included with the kit. The cradle allows for hands-free operation when used with a phone compatible headset or Bluetooth® device. Design techniques developed over the past 10 years enable Wilson cellular amplifiers to deliver higher power and have better received signal sensitivity than competing solutions. The result is that Wilson Electronics’ cellular amplifiers and antennas empower users to stay within reach in both building and mobile environments. The iBooster line of amplifiers, including the device for the BlackBerry Curve, will be available in spring 2009 through authorized Wilson Electronics’ retailers. Motorola is an Innovation Honoree at CES 2009 in the Furniture Category. Motorola has an interesting angel on femtocell innovation with a new CDMA femtocell prototype which integrates a CDMA femtocell with a digital touchscreen picture frame and VOIP soft phone to enhance end-user experience and improve overall radio performance. This picture frame allows a consumer to deploy a femtocell in a central location in their living environment without looking like a piece of networking equipment while integrating well into the home environment. It also eliminates the need to keep a femtocell physically wired to a broadband connection. This may help resolve the interference issues that are arising with femtocell deployments by encouraging consumers to place the device in a prominent location, likely to be more central in their home. Femtocells have the potential to become a part of our in home wireless infrastructure but who wants another device to clutter up the shelves? It makes a lot of sense to combine a femtocell with another existing product like a digital photo frame. I think we’re going to see a lot more of this particular kind of convergence in the near future and plan to look for more innovations like this at CES in Las Vegas this week.